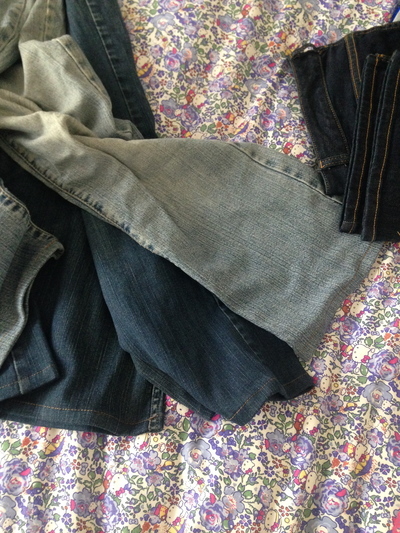 A few pairs of the writers jeans recently altered, plus a brand new pair just purchased in this picture. It can cost the earth (especially at large shopping centres) to get your clothes (especially your jeans) altered in Sydney. This service is sometimes often a necessity as opposed to a luxury. On this where is the best (and cheapest) place to get your clothes altered in Sydney? Lily's Clothing Alterations on George Street (Chinatown area - Shop 6 631 George St) is the best place (hands down) to get your jeans altered at the ends. They only charge $10 per pair of jeans, and look at the great work as seen in the picture above. Alterations places at major shopping centres are known to charge at least $25 for a similar service. At Lily's pay cash, and they're done in half an hour. Plus they have the cutest 12 year old dog - easily their director of hospitality - even though the staff here are gems. There's a great tailor at 133 Georges River Rd, Croydon Park. He's well priced, fast and friendly. I have heard that one of the best tailors in Sydney is M & R Tailors. They do both tailoring and alterations. I agree with Justine Crowley. Lily's Clothing Alterations is definitely the best.